Not sure of the best smartwatches or fitness trackers to buy? This gift guide can help! One of the hottest high-tech gift categories this year is smartwatches, while fitness trackers remain popular for those who want to keep track of their activity — but not necessarily wear a mini computer on their wrist. 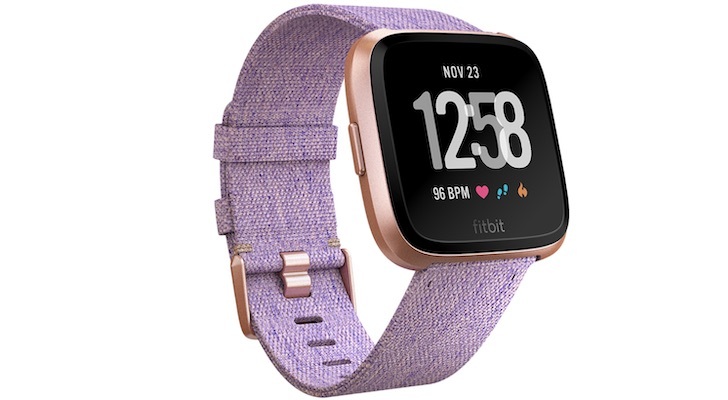 Apple (NASDAQ:AAPL) continues to dominate the smartwatch category, while Fitbit (NYSE:FIT) remains king of the hill for fitness trackers (at least in North America). The problem is, with so many options, which do you choose as a gift? We’re here to help you out with a list of 10 of the best smartwatch and fitness tracker options for the 2018 holiday shopping season. What is the best smartwatch you can buy today. There really is no contest. It’s Apple’s latest, the Apple Watch Series 4. It has a bigger and sharper display than ever before, a faster CPU and an improved heart rate sensor. It has the ability to take an ECG for checking on heart health, and features fall detection that automatically trigger an SOS call. 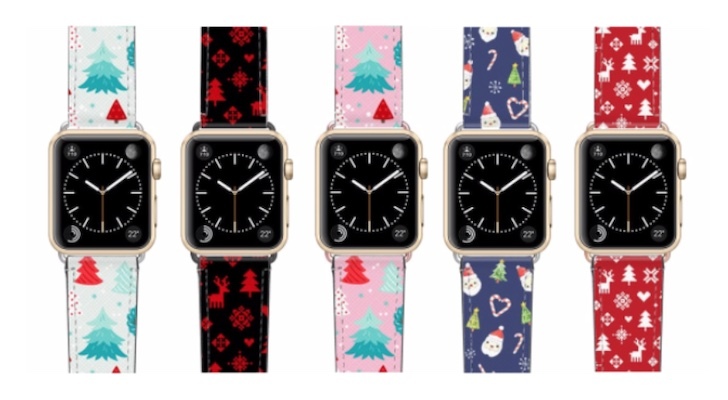 Despite the larger display size, it’s still compatible with bands from previous generations, and that gives the recipient access to a huge selection of Apple and third party replacement bands — including those festive versions from Casetify featured in the introduction. The two downsides to this smartwatch are the need for an iPhone (even with an LTE option, it still requires an iPhone to set it up), and the rather steep $399 starting price. Still, it’s one of the best smartwatches you can buy. The Versa is Fitbit’s second crack at the smartwatch market, and this one has helped pull it into second place as a smartwatch seller, behind Apple. This is a full-fledged smartwatch, with all of Fitbit’s health and fitness tracking cred onboard. That includes a full-color touch display, apps and smartphone notifications. It handles activity, heart rate and sleep tracking, plus specialized activities like swimming. At four days plus, its battery life leaves the Apple Watch in the dust and the $199.95 starting price is half that of the new Apple Watch, making it a much more affordable choice. The Fitbit Versa is also device agnostic. It can be used with an iPhone, Android smartphone and Windows devices — making it the best smartwatch to choose as a gift if you are not sure what smartphone the recipient uses. Fitbit’s Charge 3 also makes a great gift choice, especially for someone looking for a smart wearable, but who is not quite sure they’re ready to make the leap to a smartwatch. 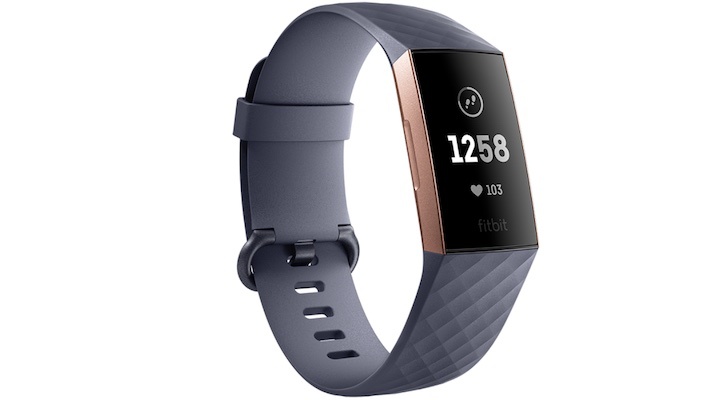 The third generation of Fitbit’s all-time best-selling fitness tracker costs $149.95 but offers a lot in a very slim and stylish bracelet. The plastic case has been replaced by aluminum for a more premium look and its display is grayscale OLED with touch control. 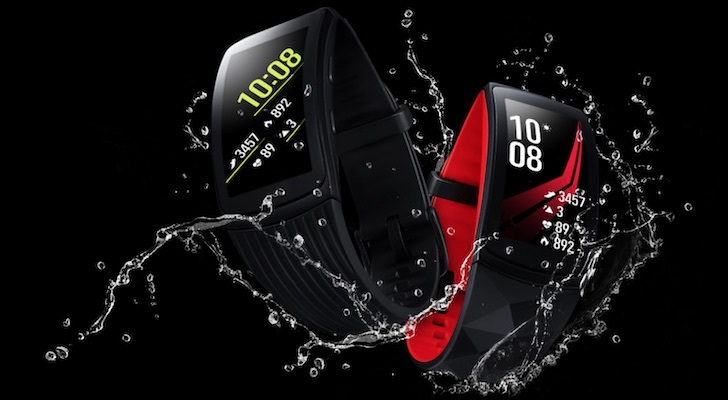 It tracks everything from heart rate to sleep and female health (plus plenty of different activities), it’s swim-proof and the battery is rated for up to seven days of use between charges. And it displays smartphone notifications — just like a smartwatch. 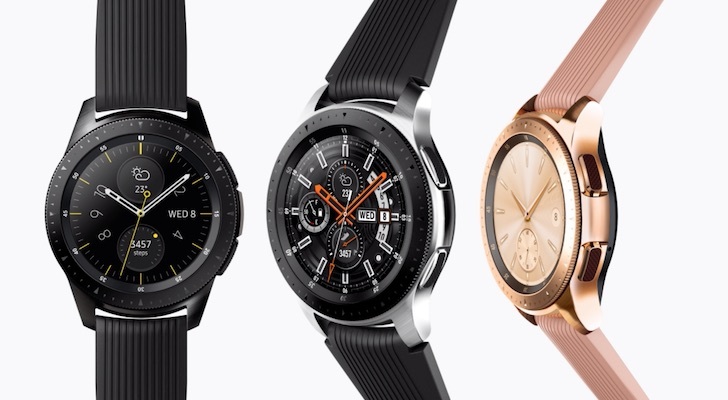 Samsung makes one of the better-looking smartwatches out there, and one of the best smartwatches in general if you’re shopping for someone who uses one of the company’s Galaxy smartphones. Starting at $259.99, the new Samsung Galaxy Watch is meant to offer the familiar look of an analog watch, but with modern smarts. The chunky stainless steel case has a rotating bezel, which is used to cycle through menus. It runs apps, does smartphone notifications and has plenty of health and fitness tracking capabilities. An always-on sAMOLED display shows the time at all times, yet it still manages an impressive battery life of up to four days. The downside of the Galaxy Watch is that Samsung goes it alone with its own Tizen operating system. That means very limited iPhone support, and it can’t run apps from Alphabet (NASDAQ:GOOG, NASDAQ:GOOGL) division Google’s Android Wear smartwatch platform. 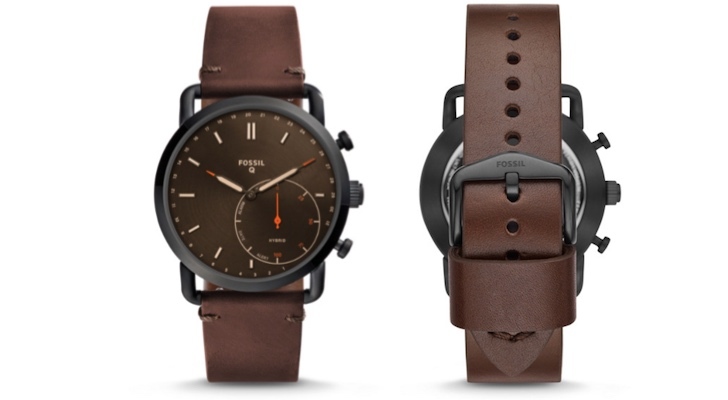 Fossil (NASDAQ:FOSL) is a brand that has been making fashionable watches for decades. And it offers smartwatches running Google’s Wear OS. But the company also offers an interesting combination of old-school analog wristwatch and smartwatch — what it calls a hybrid smartwatch. The Fossil Commuter Hybrid Smartwatch (starting at $155) looks like a traditional wristwatch. But this wristwatch also supports notifications from iPhones and Android smartphones (just a buzz, no display), it can be used to control music playback on a smartphone, and it tracks both activity and sleep. The kicker is battery life. It uses a replaceable watch battery that’s good for a year, with no recharging needed. It’s one of the best smartwatches for people who want a more classic look. 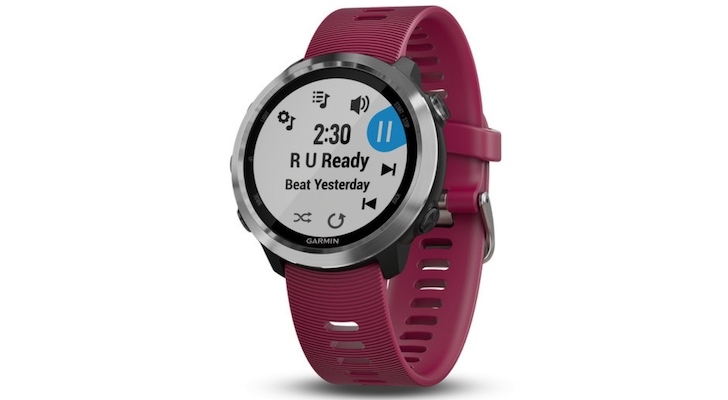 Garmin (NASDAQ:GRMN) has built a solid smartwatch business by catering to runners, golfers and other fitness buffs. The Garmin Forerunner 645 Music is a favorite with the running crowd. This smartwatch doesn’t just track steps and distance, it gets into nitty gritty details like stride length and vertical oscillation. It has an onboard GPS for accurately tracking distance, and a heart rate monitor. It supports smartphone notifications and users can respond to messages directly from the smartwatch. The “music” part of the name in onboard storage for 500 songs and Bluetooth connectivity for connecting to wireless headphones. The Forerunner 645 Music starts at $399.99, with the price varying by case finish. At the other extreme of the wearable spectrum from the Forerunner 645 Music is the Garmin Vivofit 4. 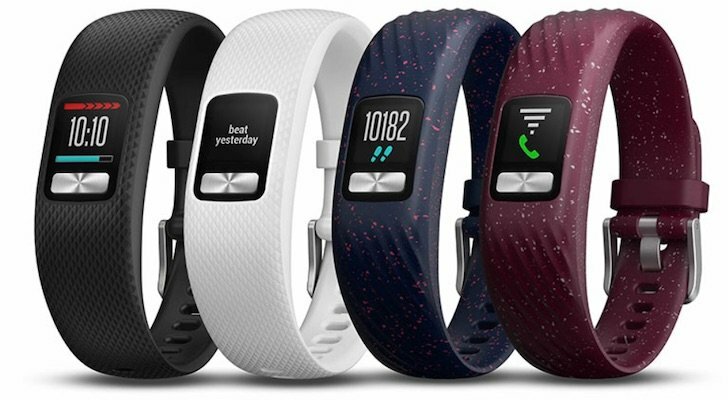 This is wristband-style activity tracker with a customizable, always-on color display. It can be worn 24/7, it’s waterproof and it doesn’t need charging thanks to a replaceable battery rated at one year of use. The Vivofit 4 tracks the basics — steps, distance, calories burned and sleep — but at just $79.99 it makes for an affordable gift. Samsung’s Gear Fit2 Pro would make an excellent choice for an Android fan who wants sleek and modern looking smartwatch with a focus on fitness. It’s a bracelet style device, making it much sleeker than most smartwatches. The $199 GearFit2 Pro automatically detects when the wearer is beginning an activity, then tracks it. It has an onboard GPS and supports uploading music for a workout that’s completely smartphone free. Naturally it has a heart rate sensor, and it can be worn while swimming as well. Users can even respond to Android smartphone notifications from the watch by choosing from a list of pre-set replies. Battery life is approximately one day. Samsung has over 3,000 apps to choose from for the GearFit2 Pro, so it can be completely customized to the wearer’s needs. 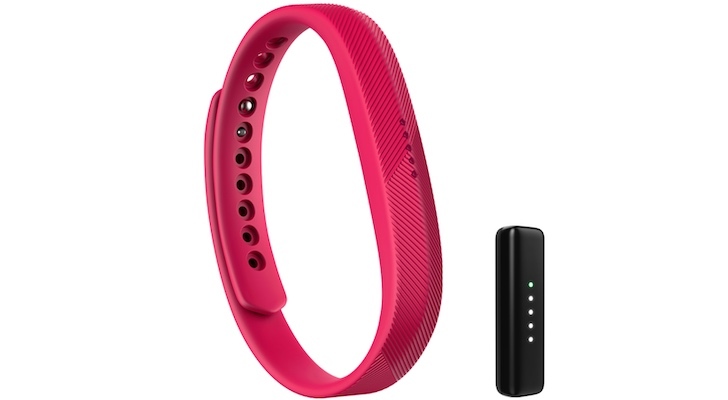 The Fitbit Flex 2 is similar to the Garmin Vivofit 4 in that it is a minimalist and inexpensive fitness tracker. The Flex 2 doesn’t even have a display, just a series of LEDs that light up through the day to display progress. It tracks steps, distance, calories burned and sleep, as well as stats like active minutes during the day. It can also automatically detect and track activities like running. Of course a smartphone and Fitbit app are needed to actually see all this data. The LEDs also flash for smartphone notifications, to mark goal accomplishments and to remind the wearer to move. The Flex 2 starts at $59.99 and the sensor can be worn in a wristband, or removed and worn in a pendant. Battery life is up to five days. 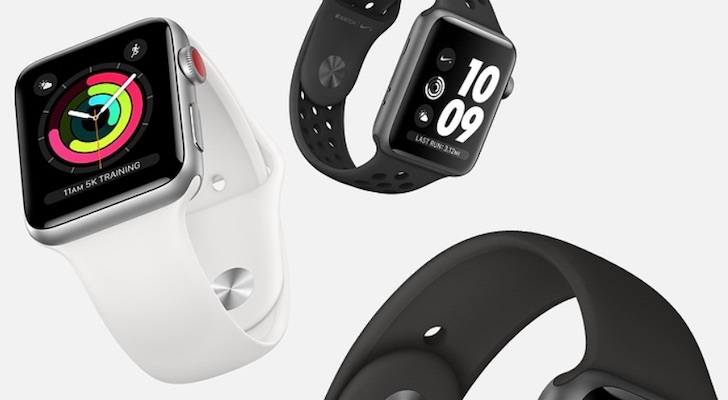 Finally we’re back to the smartwatch that kicked off this list: the Apple Watch. But this time, it’s the Apple Watch Series 3. This may be Apple’s release from last year, but the Series 3 is still superior to most current smartwatch competition. The display is slightly smaller than the Series 4, but still beautiful and sharp. It lacks ECG capability and fall detection, but otherwise covers all the health and fitness bases. It runs watchOS 5 just like the newer Apple Watch, and is also available with LTE for iPhone-free operation. The best part is that with the recent release of the Apple Watch Series 4, the Series 3 starting price was dropped to $279, making it a much more affordable option. 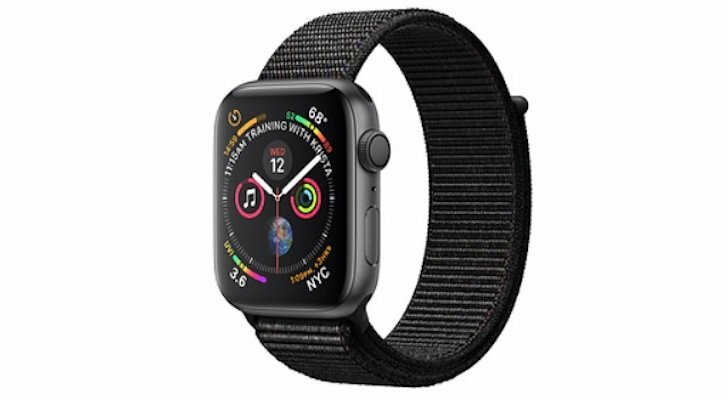 Article printed from InvestorPlace Media, https://investorplace.com/2018/11/holiday-gift-guide-2018-the-best-smartwatches-and-fitness-trackers/.